Throughout the world today former nation-states, as disparate as Yugoslavia, Somalia, and Canada, have either disintegrated or threaten to splinter into regions. The conflicts are economic, social, ethnic, linguistic, religious, political, and cultural. Higgins and Savoie analyze the reasons for these conflicts and show why attempts to eliminate regional disparities within nations have been largely unsuccessful. 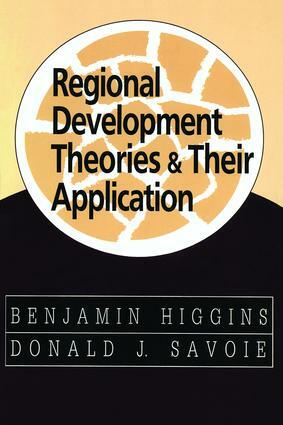 This volume is a highly readable, comprehensive survey of the literature and current debates in the fields of regional economics, development, policy, and planning.